Mazda has absolutely thrashed Fiat in the sales race these past few months. Back in November we wrote a piece about how the Fiat 124 Spider was on the verge of outselling the Mazda MX-5. We said the Italians needed to strike soon to achieve victory, with the reason being that the MX-5 RF was due to debut in a few months. Those few months—four of them to be exact—have come and gone. As it turns out the MX-5 thrashed the 124 Spider in sales during our self-proclaimed “window of opportunity.” From November 2016 through March 2017 a total of 3,157 MX-5s were sold. In that same time period Fiat moved only 1,582 124 Spiders. 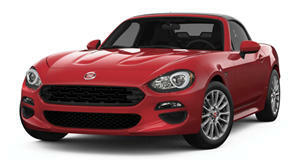 The closest Fiat got to downing Mazda was in November when it sold 350 124 Spiders compared to Mazda’s 387 MX-5s. Now that winter is winding down (on paper anyway) and the MX-5 RF is here it looks like the 124 will never be able to outsell its Asian twin. February was a preview of things to come now that the targa Miata is here. 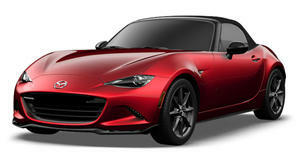 Mazda posted its best MX-5 sales since February 2006 with 1,108 cars sold. Last month just 302 124 Spiders were sold. The good news for the Italians is that, despite slow sales, their roadster has been well-received. It compares favorably to the legendary model on which it’s based, with slick styling helping it to stand out in its own right. The problem is that Fiat needs more than moral victories at this point. As the months warm the 124 Spider should see an increase in sales. That’s good, as is the mini halo it casts over the brand. The bigger problem is that once consumers get to the Fiat lot there isn’t much to see aside from the stylish roadster and several variations of the same small car. FCA has a lot going on at the moment, and new product for Fiat doesn’t seem to be at the top of the to-do list. That makes us wonder...how hard is it to design a hardtop version of the 124? It seems like a quick and easy (relatively speaking) way to scoop up extra sales.